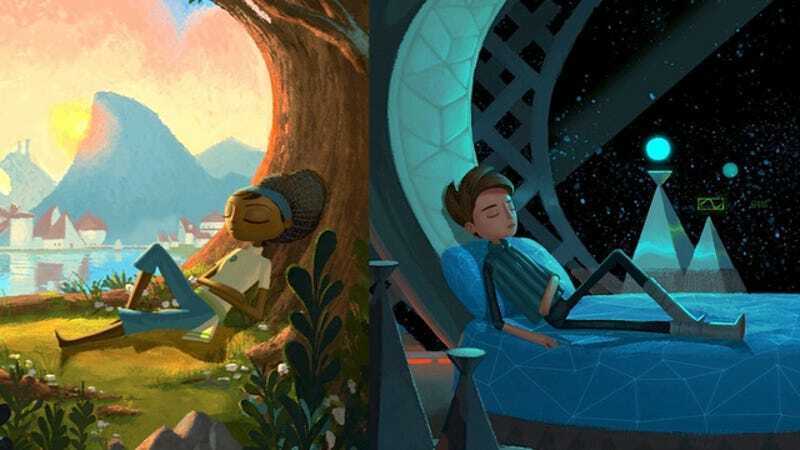 Broken Age, the crowdfunded adventure from Double Fine launching today to its backers, won't be offered on Steam Early Access. It will, however, release under a "Season Pass" model that gives buyers both of two planned episodes. "Early Access" releases generally carry the impression the game still is in progress or is incomplete. Double Fine says "we believe Act 1 is a polished and satisfying piece of content in its own right," though other "logistical reasons" make it worthwhile to skip the Steam Early Access release. Instead, says Double Fine, "Broken Age will be a standard Steam release that includes a 'Season Pass' granting access to Act 2 once it is complete. Anyone who has Act 1—either by being a backer, or by buying the game separately—will receive Act 2 as a free update when it's ready." Back in July, Double Fine announced it would go the Early Access route as an equitable way to both complete the game while still giving it to backers before the general public, as was promised. The game is available to backers through a Steam key and will become publicly available on Jan. 28.